Recent developments in every aspect of life made it quite easier even for the younger generation to learn things that once were associated with adults only. For instance, in the health and beauty category, we now see kids who also visit salons to have their hair and nails done. It may seem unnatural for those who are not used to seeing kids who are decades younger flaunting their color coated nails to match the most fashionable garb that they are wearing at the moment. Such trends encouraged more mothers to find the best nail polish for kids. Children these days are more creative than before. They even love to act out what their moms do and would try to copy how their mothers would paint their faces or have their nails done. And though the always supportive mom would like to please her child by giving whatever products she would like to use on her nails, she still worries that these colorful nail coatings may affect the nail growth of her dear child. She has every reason to worry for even with the sophisticated developments in most everything that we see in the market today, not every nail polish could provide both the aesthetic as well as the health benefits in every bottle. 1. Formaldehyde, Formaldehyde resin. Formaldehyde is a known carcinogen and has been linked to cancers of the nasal cavity and leukemia. Some nail maintenance products contain this ingredient as they are known to quicken or harden the components in the polish by binding the elements in them so they won’t go brittle and break easily. 2. Toluene. This ingredient is usually added to nail polish products to help keep the pigments bonded even while kept inside its bottle. It also gives the nail coating its characteristic luster. Recent studies, however, have linked Toluene to birth defects, cancer, and other reproductive problems. It can also cause temporary difficulties such as headaches, cracked skin, dizziness, and irritation of the skin, eyes, or lungs. 3. Dibutyl phthalate (DBP). 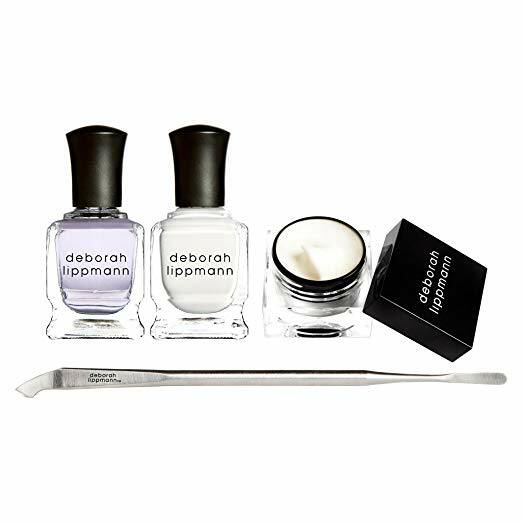 DBP is said to keep the nail polish formula from getting brittle, days after it is applied to the nails. Like all other ingredients added in some nail polish products, this can also be absorbed by the system through the skin and may cause disruption in the endocrine as well as reproductive issues (infertility, uterine cancer, testicular cancer, etc.). 4. Camphor. Camphor is also seen on product labels as C10H160. It comes from a variety of trees that release turpentine oil. It is also used in other cosmetic products like makeup and lipsticks. Observed reactions to inhalation or exposure to this ingredient include headaches, stomachache, hallucinations, and other allergic reactions. It can also cause liver problems. 5. Acetone. Acetone is a solvent that is used in removing nail polish on the nails. Other nail polish removers that are said to cause reproductive problems and release toxins in the human body organs are Isopropyl acetone, methyl ethyl ketone, and n-methyl-pyrrolidone. Removers also appear on product labels as Isopropyl Acetone: Methyl isobutyl ketone (MIBK), hexone, 2-pentanone; Methyl Ethyl Ketone (MEK): 2-butanone, 3-butanone, acetone; N-Methyl-Pyrrolidone (NMP): n-methyl-2-pyrrolidone, and 1-methyl-2-pyrrolidone. 6. Triphenyl Phosphate (TPHP or TPP). This is an ingredient recently added to some nail polish formulations as a replacement for dibutyl phthalate (DBP). It gives the nail coating more flexible and durable. It is the same chemical used to make plastics more flexible and flame retardant. It could also cause skin irritation or allergies, can cause reproductive health issues, and may disrupt the proper functioning of the endocrine. 7. Parabens. Many cosmetic manufacturers include parabens in their products to prevent bacteria from infecting them. This ingredient appears on product labels in different forms, such as butylparaben, methylparaben, and propylparaben. Many studies have linked paraben to cancer, however. This caused many companies to consider removing this harmful ingredient in their formulation. You may now see products labeled as paraben-free. 8. Benzophenone. Benzophenone is usually added to cosmetics such as lip balm, nail polish, foundations, conditioner, hair spray, moisturizers, baby sunscreens, fragrance, shampoo, and foundation to prevent products from losing their scents and colors. It is also added to household products like food packagings, laundry and cleaning products, etc. It appears on product labels as oxybenzone, sulisobenzone, sulisobenzone sodium, diphenylmethanone, Diphenyl ketone, Benzoyl peroxyde, and so on. Studies have shown that this ingredient may be linked to several health concerns, such as cancer, endocrine disruption, allergic reactions, developmental and reproductive toxicity, and more. For the best nail polish for kids, consider one or more of the products below. 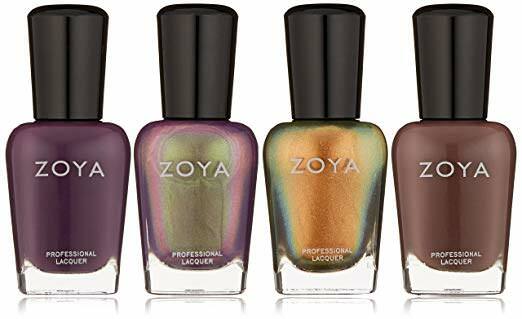 These nail polish brands are specially formulated to be three or five free, which means they do not contain five, free, or all of the toxic ingredients specified above. 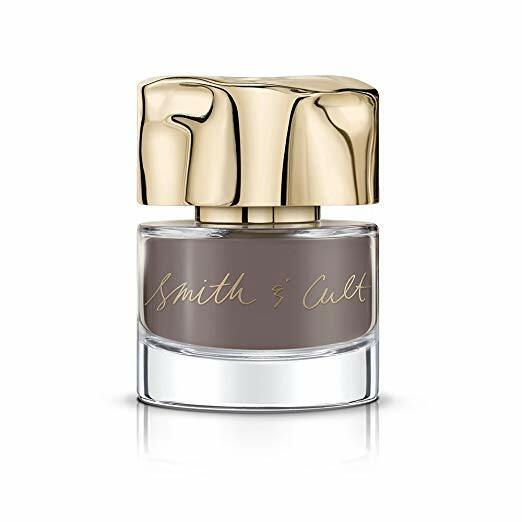 Smith and Kult Polish is an 8-Free Polish Formula that provides flawless coatings with excellent gloss for the nails. It is safe and is specially developed to be free from the following toxic ingredients: Dibutyl Phthalate, Toluene, Formaldehyde, Formaldehyde Resin, Camphor, Xylene, and Ethyl Tosylamide or Triphenyl Phosphate. To get the gorgeous shine and color, all that is needed is to prepare the nails and have two coats of the polish applied and a sealer to cover the polish and it is done. Wear one of these exciting and fun colors: I Kissed A Girl (poppin pink) It Girl (yellin yellow) Hollaback Girl (outrageous orange) Nasty Girl (flaming fuchsia) Party Girl (sassy salmon) and flaunt your nails. This is one nail polish brand that offers the benefits of a gel manicure without the toxins. 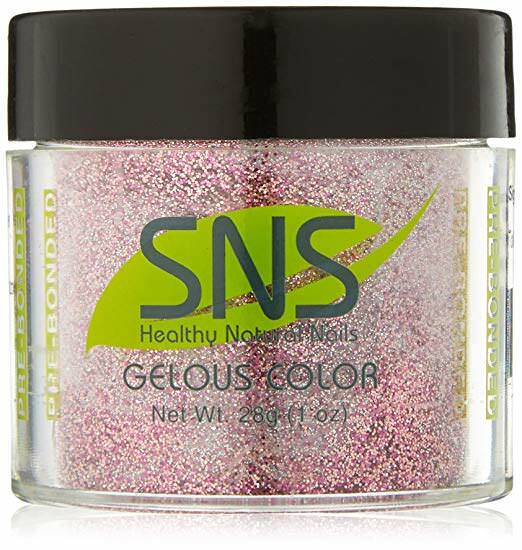 SNS is a known polish brand that provides long-lasting shine with its powder-based that are formulated to contain vitamins A, E, D, B5, D3, and Calcium. It is also fast-drying, odorless, and lightweight. a. 27 Luscious Mauve (#SNSGC27). For a sweet and sophisticated nail finish, your child may opt to have this glossy pinkish shade on her nails. It dries instantly, provides a durable and chip-free finish that can last up to 14 days. b. 131 Barely Touch (#SNSGC131). Here’s another interesting shade from SNS that will just look great on your kid’s nails just at it would on yours. It’s a brilliant creamy white finish with a shade of pink, perhaps the lightest that your fair princess can put on her nails to make her feel like she is a royalty who just stepped out of her palace. c. 46 Bubblegum Contest (#SNSGC46). I’m pretty sure your little darlings will go crazy over this shade. It’s like having a bubble gum sticking on their nails. It’s light and just so delightful to see on those little nails. 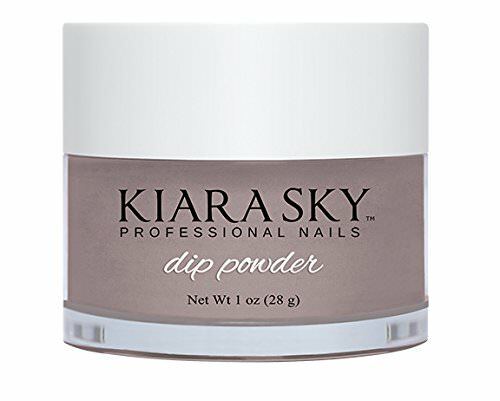 Kiara Sky offers a two-step nail polish system that is solvent-free, hence it does not have a strong scent. It also won’t turn yellowish or thicken with time. It is also easy to apply and will not shrink. Your kids will enjoy up to 14 days of chip-free polish that is durable and won’t fade over time. a. 443 New Yolk City (#KIAD443). A nail color as bright and stunning as this will just be perfect for your playful and creative little princesses. Have them match the color to their favorite attire and you will how many heads will turn to have a second look on them. b. 454 Milan (#KIAD454). Let your kid’s nails shine like the stars have decided to reflect their light on them. This bright and summery shimmer will look great on those cute little nails. c. 422 Pink Lipstick (#KIAD422). This is a rich, creamy and glittery shade of pink that will match your little lady’s fingernails. 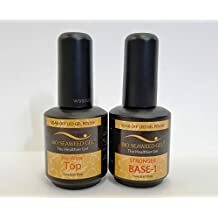 Not only will this nail coating make your children’s nails look even more appealing, but it will also make them grow stronger as it is formulated with vitamins and calcium. 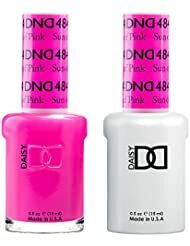 It also does not contain any harmful ingredients, so you are sure to have only beautifully painted nails that will not break or peel off longer than other nail polish brands. With DND colors your kids will love the gorgeous nails without having to spend more time to have them done as the brand offers a professional finish that can be applied faster, yet dries quickly and feels thinner on the nails. a. 439 Purple Spring 2/Pack (#DND439). This is a playful shade of purple that imitates the color of spring. Kids will find this extra exciting on the nails. b. 443 Twinkle Little Star 2/Pack (#DND443). Let your kid’s nails shine like the stars have decided to reflect their light on them. This bright and summery shimmer will look great on those cute little nails. c. 031 - Milky Blue (#DNDDC031). This soft creamy blue shade is like the color of the skies when the day is brightest. This, for sure, will look great on those lovely tiny nails. Its safe and would give your young ones’ nails extra nourishment as DND nail pigments are fused with healthy minerals. Here’s another healthy nail coating alternative brand. It’s formulated to be free from formaldehyde, toluene, DBP, BHA or camphor or the big-5. It is a self-leveling gel that stays durable for weeks without fading its hue or shine. a. 60 Fairytale (#BIO60). Bio- Seaweed nail polish is a three-step formula that offers a high shine and long lasting finish that won’t break easily. All you need is a base color, one of your color choices (fairytale is one great option) and the top gel and you are done. b. 85 Sweet Pea (#BIO85). This light summery shade will make them look like real ladies. Have your little princesses try them on and see how long they can have them looking gorgeous with a nail coating that promises up to 14 days of shine and chip-free gel nails. c. 04 Marshmallow (#BIO04). Your sweet little ladies deserve a treat. This marshmallow-colored nail coating may just be what they need. Show them a little love and say it with colors. Most of these brands last longer than the regular nail polish available on the market today. To make sure that your kids will get the best benefits of having nail coatings, make sure that you have read the labels and know what the ingredients that are lurking inside every nail polish bottle that your child may actually want to use on her nails. For more healthy nail polish options that you and your daughter may use today, check out our website.